The Ngorongoro Crater delivers Africa’s easiest Big Five game viewing. An ancient volcanic crater lying close to the Serengeti, it is home to some of the densest concentrations of big animals in Africa. As well as the Big Five – lion, elephant, buffalo, leopard & rhino – the Ngorongoro Crater is also home to cheetah, hyena and hippo. There are herds of cattle too, tended by watchful red-robed Maasai herdsmen, for the Ngorongoro Crater is where man and nature come together in a single view. And it’s a place made for views. 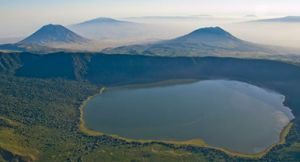 Several Ngorongoro accommodations are set right on the rim of the crater itself, offering the most astonishing panoramas. Others are set away from the crater on sweeping savannah grasslands or on elegant coffee estates. 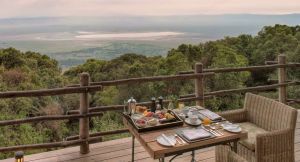 The Ngorongoro Crater is a popular destination, especially as it can so easily be combined with the Serengeti, Lake Manyara and even Kenya’s Masai Mara Reserve. Honeymooners will love the idyllic views from their crater-side suite; families will find lodges that welcome children and offer family safari programmes and child minders. And although it’s game viewing on the crater floor that is Ngorongoro’s main draw card, visitors will find plenty of other activities on offer: bird watching, cultural tours, mountain-biking and walking safaris. Lodges often serve meals in outdoor settings under a starry sky and several accommodations have a resident wellness therapist/masseuse. You need to make a decision about where to stay. Ngorongoro accommodation is neatly divided into two groups: the camps and lodges located on – or very near – the Crater Rim, and the accommodation found in the town of Karatu, lying some 50 kilometres (30 miles) away. The question is: do you stay on the Crater Rim or Karatu? 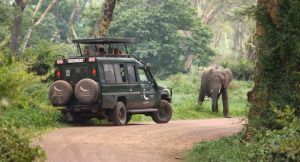 Talk to Safari Online about an Ngorongoro Crater safari. We’ll recommend the best tour or accommodation for your requirements. 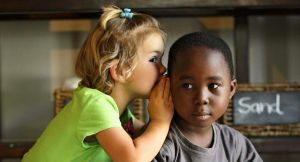 We can also tailor-make an itinerary for you including the Serengeti and Kenya’s Masai Mara. 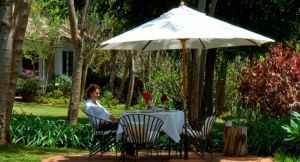 We can also combine the Ngorongoro Crater with a beach holiday on the Indian Ocean coast – ask us how. 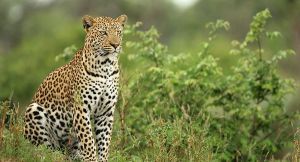 Africa’s most sought-after sightings – lion, elephant, buffalo, leopard & rhino – can be enjoyed with ease at the Ngorongoro Crater; indeed, it’s not unusual to see all five in a single game drive. Lions & leopards join a long cast of predators in the Ngorongoro Crater: cheetah & spotted hyena are also resident along with jackal, wild cats & many birds of prey. 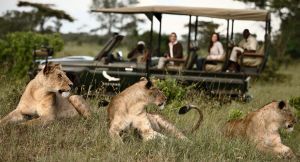 There are exclusive lodges on the rim of the crater: not only will you get truly spectacular views but you’ll also be among the first onto the crater floor for the morning game drive. Easy game viewing, a comfortable climate & family accommodation – the Ngorongoro welcomes families with children, providing special activities, meal times & even childminders. 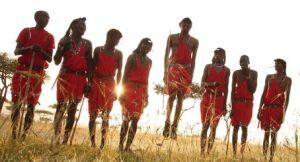 Maasai communities dot the Ngorongoro landscape & several lodges offer the chance to visit local villages, chat to locals & gain an insight into life on the savannah. This popular late afternoon walk along the western rim of the Ngorongoro Crater allows guests to experience various natural habitats, including the acacia woodland, thick lush forests and open grasslands. 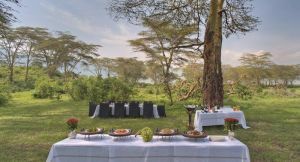 After your scenic descent into the Ngorongoro Crater, enjoy a tasty hot lunch served in breathtaking surroundings at a private picnic spot on the Crater floor, in the midst of the wildlife action. Contact us now to create your once in a lifetime trip.